An Interview With Inspirational Bodybuilding Champion, Don Long. In the following interview Don chartered for me his career in bodybuilding and explained all of the events surrounding the condition that almost ended his life. Learn more about this man in this inspiring interview! 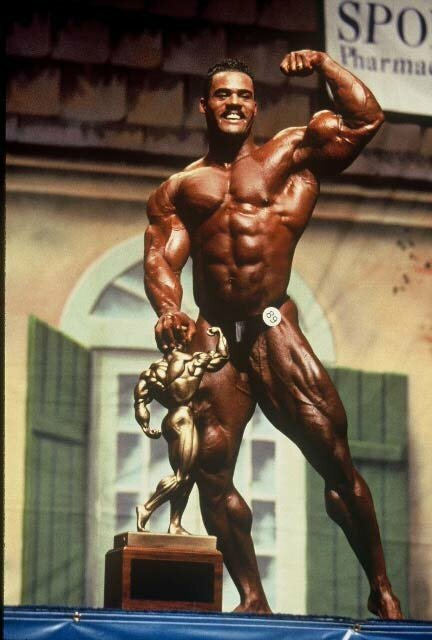 One of the more spectacular bodybuilding achievements of our time would have to be the re-emergence of 1995 Nationals champion, Don Long. His return to competitive bodybuilding would, in fact, be the most inspirational to date considering he was, three short years into a promising professional career, struck with a debilitating kidney condition that forced him out of the sport he loved and onto deaths doorstep. 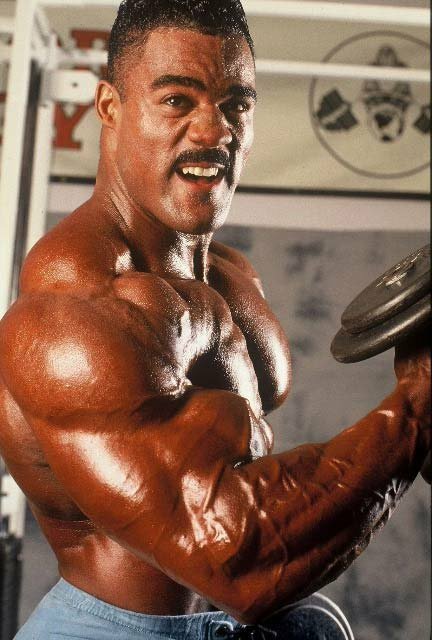 In 1999, having shown three years earlier that he had the potential to go all the way as a professional bodybuilder, Don received news that would shake his world: he was diagnosed with massive kidney failure, the result of high blood pressure caused by the fact only one of his kidneys was functioning efficiently. Born with only one functioning kidney (Don only discovered this at the time of his diagnoses of kidney failure), Don's body was always fighting a losing battle. However, despite this he was able to turn pro after only six years of weight training. As a professional, Don's first show, the 1996 Night of Champions, was a major success. 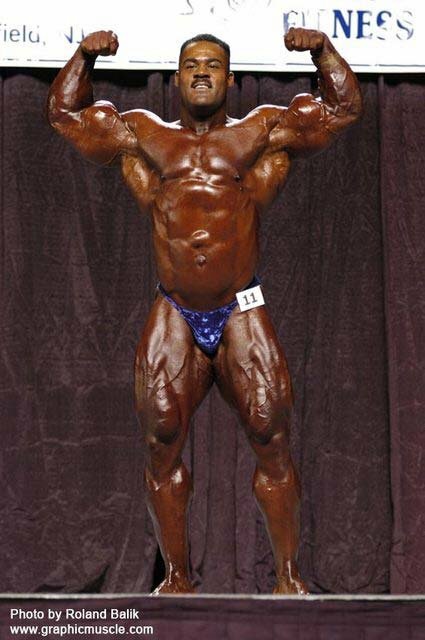 Here he compared well to two of the greatest bodybuilders ever, Ronnie Coleman and Flex Wheeler, to claim third place. With a near-perfect combination of size and shape, Don was on track to becoming one of bodybuilding's best; many thought he could be the greatest of them all. But when tragedy struck, he found it hard to accept the inevitable: that he would be forced out of bodybuilding and into a life of daily dialysis and strict self-management. The medical authorities wrote Don off as a competitive bodybuilder. They didn't know just how disciplined he is. And through it all Don maintained an optimistic attitude, while continuing to train as hard as he could. Even after a rejected kidney transplant in March 23, 2003, Don never lost hope. 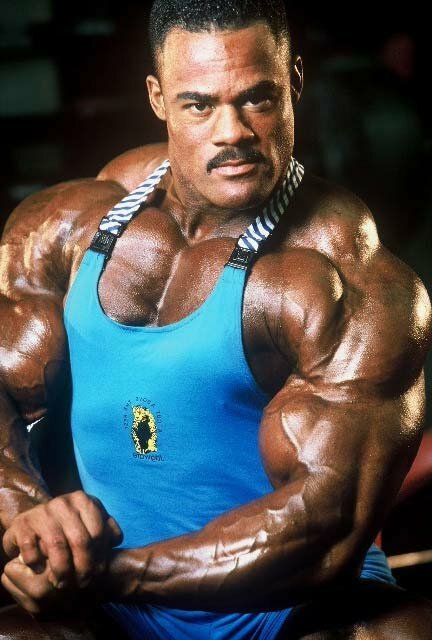 Although initially his weight plummeted to a mere "245 pounds," from 300, then to an unheard of (for him) 190 after the transplant rejection, he continued to successfully manage his life with regimentation skills gained as one of bodybuilding's most disciplined stars. His training continued. And in late 2003 his luck would change for the better. After his failed transplant Don was put on a new course of dialysis, a more efficient nocturnal method where he could live more in accordance with a bodybuilding lifestyle. Three years later he would make his bodybuilding return at the 2006 Atlantic City Pro show, arriving in a condition he was, given the circumstances, extremely happy with. Although his return does not necessarily signal a permanent comeback to the sport he feels he could have been amongst the best in, Don has kept his options open. And his reason for returning to the stage? "I did it more to show people that it can be done. I wanted to show people they can overcome their problems and achieve. What I wanted to be was the Lance Armstrong of bodybuilding." Inspiring words indeed. I think it is safe to say that we will be seeing a lot more of Don Long. In the following interview Don chartered for me his career in bodybuilding and explained all of the events surrounding the condition that almost ended his life. [ Q ] Upon discovering you had massive kidney failure what were your initial thoughts? It was definitely devastating. When it first happened it was October of 1999 and of course at that point I was at the top of my career. I was planning on doing the Arnold Classic in March and all of a sudden I just felt sick. This went on for a couple of weeks so I went to the doctor to see what was going on. It felt like the flu. So I thought: "Okay it will be gone in a minute." So I went to the doctor just to try to get some medicine, and when I got there they did the blood work and said, "No, you have to go on dialysis tomorrow." Then of course right then I said there was no way I was going on dialysis. After about 12 hours of telling them no, they finally spoke with my sister long-distance and she convinced me that it was the only thing to do. If I wasn't going to go on it in a day or two I was going to die anyway. For the first six months it was total depression. I thought that maybe, somehow it was going to come back to normal. It was definitely devastating at that time. [ Q ] Very sudden news. And at that point in your career you were obviously at the top of your game. Had you resigned yourself to never being able to compete on the pro stage again? At some point yes, but it didn't happen like that for the first six months. It took about 6-or-7 months for me to really digest that I was never going to compete again. Even after I went on dialysis I was still training to compete in the March Arnold show. Once I decided I was not going to be able to do that, I made the decision a couple of months after that that it was never going to happen again. From then I started to become comfortable with that. That was when I started coming out publicly with it. Once I decided to come out publicly that helped me to deal with it better. I had to either deal with it or let it crush me, so I just dealt with it and moved on. [ Q ] What was the reason for your kidney failure? It was definitely the fact that I was born with only one kidney working. Having one kidney caused me to have high blood pressure and having high blood pressure knocked the other kidney out. So it wasn't a specific disease, but the fact that I was born with one kidney and did not know about this until after the fact. [ Q ] How did you have to modify your life in those early years to cope with your condition? Basically I was left with no option because I had to go to dialysis three days per week. So that is why my sister had to come and get me from the Northern Virginia DC area I was living in to take me to live with her in Fort Walton Beach, Florida. Once I moved there I had to attend the dialysis sessions on Mondays, Wednesdays and Fridays. So I was left with no room but to deal with it. But I never changed my training or eating schedules. I always went to the gym on the same days I usually did, but this time it was after dialysis. I also stayed with the six-meals-per-day I was eating up to then. Actually bodybuilding is what helped me to get through it because I was so regimented already. Bodybuilding taught me the habits I would need to deal with dialysis. Because when you go into dialysis, you have to follow a strict regimen with eating and fluid intake, and I was used to orderly eating. When you first go in they tell you that you can only drink about a liter of fluids per day, and I was used to drinking 3-gallons-per-day. Still, by being regimented I was able to cut back to what they told me to do and that is how I was able to stay healthy. Even with the three days of dialysis a week I was healthier than most. I was still able to work out. So I give thanks to bodybuilding for that. [ Q ] And that level of regimentation is pretty impressive in itself. But how restricted were you? Did you have to cut back on certain foods? I had to cut high potassium foods like bananas and potatoes that I would normally eat every day. I had to switch to rice, and my fruits would come from maybe a pear. I have never been able to eat baked potatoes since and it was just rice, rice and more rice, from that point on. And that is what they did. They tell you what you cannot eat and, knowing foods really well I was able to determine what I could replace forbidden foods with. I just ate the best I could. [ Q ] Were you able to continue eating a higher level of protein? I had to cut the protein way back also to where I was only getting less than one-gram-per-pound-of-bodyweight. It was more like 0.7-grams-per-pound. A lot lower than the 1.5 grams I was used to eating-it was cut almost in half. [ Q ] Did you experience rapid weight loss due to your dialysis and the medications you were on combined the lower protein diet? Not rapid. I definitely went down though. I was around 290-to-300 pounds before it happened and over about two years I dwindled down to about 245. I never went any lower than that until after I received a transplant, two and a half years later. This transplant failed after a year and a half. But as soon as I received it, because of all the medications they have you on I went down to about 190 almost immediately. [ Q ] And how did the medications cause this to happen? Well the medications cause your metabolism to race. You pee a lot and it was just continually burning me out and it wouldn't allow me to maintain any weight. Really just overnight a lot of fluid came out. I got sick almost from losing so much weight. And once they found the perfect amount of medication for me, I started stabling out, but I still stayed around 210 at that point. [ Q ] What do you weight now? I am about 260 right now. [ Q ] And would you consider this a good weight for you? It is somewhat normal but my normal off-season weight back in the day was about 290. But now, at 260, I am real lean. [ Q ] So what caused your weight to increase to 260? My weight increased due to a new type of dialysis that is done nocturnally. What happened was I did two and a half years of three dialysis sessions per week before receiving a kidney transplant in 2002; the transplant lasted for a year and a half, so by the end of 2003 I was back on dialysis for about a year. Then they introduced a new program where I could do the dialysis nocturnally, at night while I sleep. In turn I was able to eat more and take none of the medicines than I used to and it cleans the body almost like a normal kidney does. And that is what allowed me to get back up to this weight-I could eat more, train heavier and there were no problems with blood pressure. So thank goodness for this new type of dialysis. [ Q ] You recently returned to the pro bodybuilding stage. Was it the change in dialysis that encouraged you to give it another shot? Yes, that is what gave me my woof back so to speak, gave me the drive. Even though I was in the gym constantly through all the early years on dialysis, once I started this new type of dialysis, my body started responding to all the work I was putting in before. Although I was in the gym every day my body would not give me the results the training should have provided. But once I started the new program all my hormone levels came back to normal. So it almost brought my body back to normal by doing it this way. And this is what I want to go around preaching in the future: this new type of dialysis is going to make people feel 100 percent better. [ Q ] Just to set the record straight about your kidney transplant. Did it, in fact, come from your sister? What happened was my sister donated one of her kidneys to the kidney pool, the waiting list. She donated to the top of that list and a lady received it. And by her giving her kidney to this lady I took the top spot on the list, instead of having to wait another 2-or-3 years. This was all done through Georgetown University. They had a program where if you had a family member who wanted to donate a kidney to you, but that kidney didn't match, they could donate the kidney to someone else and you would take the top spot immediately. So I received the next compatible kidney that came in, which in my case was a month later. And like I said, that kidney never did work very well for me. The whole process was never perfect: I was always weak. The only difference was that I did not have to go to dialysis; I still felt just as sick. A year and a half later it failed and here I am back on dialysis. [ Q ] And eventually you were able to contemplate competing again. Did you have much support as you prepared to once again take to the stage? Yes, I had a lot of support from people who knew me. Basically that is all it took. But what really lit a fire in me was a meeting I had with Steve Blechman from MD magazine. He thought that maybe I should try to get ready for a photo shoot again because I was in pretty good shape. And so, in turn, when he mentioned this I thought, "Well, I could be ready for this photo shoot in a couple of months." That would have led to around the September mark. I was also planning on doing a training video around the same time also, so I said, "If I'm going to do a training video and a photo shoot, if there is a lower level contest a week before the Olympia, if I'm in shape I might as well just jump in there." And the Atlantic City Pro was at this time. So that is what I wanted to ... so anyway, just jump up there any be competitive. I figured if I could compete I would be happy. And that is when the fire got lit: I just started training hard to present myself well for that show. So the training video, photo shoot and professional return were accomplished around September of 2006. [ Q ] Were you happy with the physique you presented at the Atlantic City Pro? Yes I was definitely happy with the way I looked. I knew I couldn't necessarily be perfect onstage, as it was all a big water-balancing act. And that is how it is come contest time: you have to be totally dry. I knew that without a fully functioning system I would not be perfect, but I could be good enough. 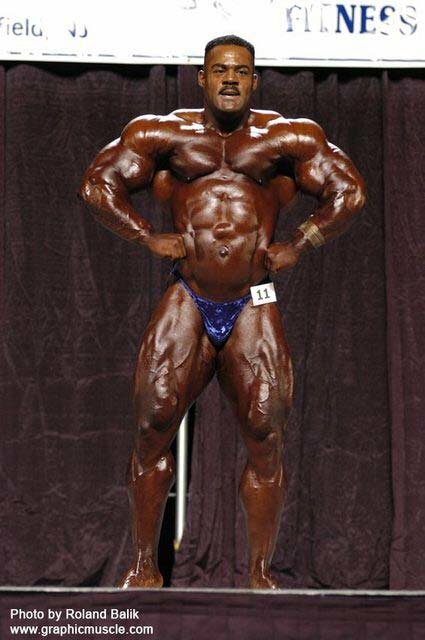 At The 2006 Atlantic City Pro. With my genetics and my shape I would be good enough to stand there representing beside the guys. I may not be able to beat them but I could look just as good beside them. When it comes to winning pro shows only a fraction can separate 10th from first. So I looked good enough and I got a lot of respect from the guys coming in there. And I was able to shoot a good training video also. [ Q ] I referred to your pro return as a comeback but it didn't signal your permanent return as a competing pro did it? That is right. I did it more to show people what can be done, that no matter what kind of injury you have whether it be a knee, a back problem or even something like depression from a marriage, you can bounce back and turn your life around. I knew I had a name strong enough to bring attention to that very thing: to show people they can overcome their problems and achieve. So what I wanted to be was the Lance Armstrong of bodybuilding. Lance Armstrong inspired me and I hope to do the same for others. The second reason (for returning) was just for myself, to show myself that life is not over for me. I don't have to be back on the competitive scene but if I can make it that one step back it will show me that life goes on. Like I said, the strength I have gained from bodybuilding all those years played a big role in all of this. And now it will play an even bigger role in my future. [ Q ] How do you hope to continue inspiring people with your story? I represent through my supplement company ISS at the booths and by being presentable and showing people that no matter what, I am still in shape. Also I will continue to do photo shoots and guest appearances, and speaking roles including seminars. View ISS Research Products Sorted By Top Sellers Here. I plan on doing that within the bodybuilding community and the dialysis community. I will go from center to center and from bodybuilding show to bodybuilding show, spreading the word of positive thinking. My main message will be not to let anything dig you into a hole, keep trying to climb out and good things will happen for you if you have a vision. [ Q ] So it would be safe to say that the outlook for you in terms of your condition is good at this stage. At this stage it is excellent. I could not ask for anything better right now. Trust me. I am able to do pretty much anything I want to do. I still have to do the dialysis at night but it is just like a person has to tie their shoes every day. I look at it that way. I can wake up and do all the things I want to do during the day. There are no restrictions. I just have to make the time to do the dialysis at night. [ Q ] Has this event caused you to re-evaluate your life? Yes, exactly. I don't hold back now. I live one day at a time and am not afraid to take chances. I don't think about whether something will kill me or not. I have come so close to deaths door already that I know it can happen overnight for anybody. So I have no fear and live my life to the fullest. [ Q ] Just going back a bit now. At the 1996 Night of Champions you were at your best physically, comparing well to both Flex Wheeler and Ronnie Coleman. Hypothetically, how far do you feel you could have gone in bodybuilding had it not been for your kidney problems? Just in my very first show being compared to two of the best bodybuilders ever in the sport, right there, neck-and-neck with those guys told me where I could have gone. I was far from mature as a bodybuilder. Ronnie went on to make a big jump as he matured and through the total discipline he had for the sport. And I personally know that I was one of the most disciplined out of all of the bodybuilders at that time. I knew where I was heading and it was definitely to the top. I'm not saying I would have been number one, because you never know; it is all a fine line, but I do know I would have been in the top three in the world. Guaranteed. I would have always been in the top three if not number one. I felt like I presented the mass that it takes, and the beauty. With the combination of these two and the fact that I would have gotten bigger and better, it would have just put me further up the ladder. [ Q ] You say your strengths as a bodybuilder are good balance and size. Is there anything else that distinguished you from other pros? Of course there was the combination of great shape and mass that not many people have. 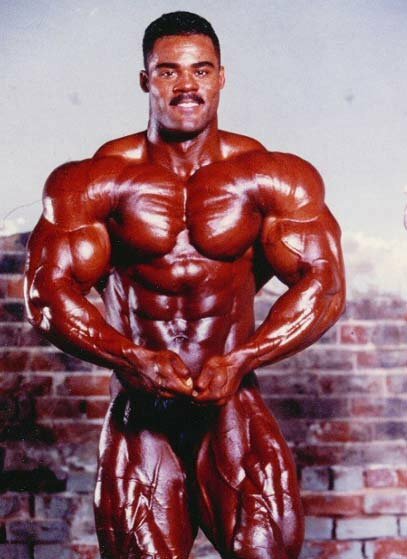 You had some people like a Flex Wheeler who had a beautiful shape, and even though he looked big, he wasn't necessarily a mass monster. I think I could have been a combination of Ronnie and Flex but with a little more beauty. Flex Wheeler & Don Long. The one strength I think I had over most is my discipline. I feel like that is the key because we all have good genetics, we all train with weights, but once you make it to the very top you know you are there because you are the most disciplined. Jay Cutler is there because he is totally disciplined, not because of how great his body is. He has done a lot to make his body what it is because he is the most disciplined out there. The same thing applies to Ronnie. He was always one of the hardest workers and this is why he is there. We are all champions in the gym and that is why we are pros. The people who really excel are the most disciplined. And this is what I think you are going to see from a guy like Phil Heath. He is going to get the idea that he can do it and he is going to get hungrier and hungrier each year and he has learned those techniques from a guy like Jay. And this is why I wanted to be: the guy like Jay who people could look up to in that fashion, not the guy who only got by on his genetics. Then you have people following that, not someone who will eat cheeseburgers in the off-season. You are not going to see Jay doing that kind of thing; he is eating his meals. And this is how a true champion should be. He should lead the way for the younger people coming up. Anytime I go places, this is what I preach. That type of discipline is what is going to get you there. Guys like Michael Jordan or Tiger Woods, who show total dedication to their sport, are the ones who get there. And this is what I feel I had over other people. This is what allowed me to turn pro after only six years of total training. I started training in 1989 and by 1995 I was a pro, started training with weights in 1989 and by 1995 I was the number one athlete on the amateur level. [ Q ] Would you like to work in some capacity with other pro bodybuilders in the future? Oh definitely, and I have already worked with a couple, including Craig Richardson and a lot of top Nationals prospects. That is definitely my goal, to continue to work with top athletes. Not only with diet and training but also with mental focus. That is what I am good at. Putting people on the right page as far as their focus goes. Actually some athletes just called me today just to talk to me to get the motivation to go to the next stage. And to give them that is an honor. I feel it is a natural gift. I don't even know how I do it but somehow I inspire people with what I have to tell them. I have guys that work with other people on their training and nutrition but they will call me just for that motivational pep talk. [ Q ] We all know how important extreme focus is for any athlete. But is it possible to balance this focus with a normal life? Here is my theory on that. If you are trying to be one of the best athletes in your sport in the world, you have to make a decision. People need to understand that bodybuilding is a selfish sport and being a champion in any sport requires selfishness for that mean time. So you have to have strong people behind you that are going to be supportive. Just like Tiger Woods. He sacrificed a lot to become the number one person. Then there is time for freedom and relaxation, and a willingness to let others into your life. Sometimes when you are trying to get there it is a one-track mind. And if you don't have the ability to do that you will be less likely to make it. I am not saying you will never make it, but you do have a choice. If you want more balance that is fine, but my theory is that it is supposed to be all about you if you want to be number one, if you want to get there fast. It is good to find some kind of balance, but unfortunately it is definitely you first at that moment. You have to remember that you are doing it for the people around you, doing it for your kids. By becoming number one you set the tone for them for the rest of their lives-discipline, financial and everything. For example, if you go to college you can't be focused about people on the side, you have to be thinking about your schoolwork. With bodybuilding it is the same thing: you have to be focused on you until you graduate, meaning reaching the pinnacle. Then you can start easing things into your life at that point. It has to be a disciplined one-track mind. I know that is kind of harsh and it took me a while to understand that. That is how I have always lived though. I have seen guys saying they have to focus more on their family but that is just going to slow you up. You need to swing that balance until it is focused more on you. What I am saying is you have your family or girl or whatever, but your training comes first. It is all about you and you have to find people that will fit into your lifestyle. But only if you want to be number one. A lot of people are going to shake their heads at that but it is the truth. You check with any champion and you will find that that is the type of lifestyle they had to live to get there. [ Q ] Will there be another contest for Don Long? I never-say-never but I don't really have any plans to compete. However, with the type of products I am taking from ISS I am just looking so much better. They are already making my body look better than it did in the period leading up to the last show, so if I can, through these products, bring my body to a point where I think it will be easier for me to get there then I may come back. So that is where I am leaving it right now. I also know my limits and won't ever push the issue of trying to get there. I did what I wanted to do and proved to myself I could return to the stage, so I am satisfied with what I have done, but I never-say-never because anything can happen in the next few years. [ Q ] Thank you for your time Don. It has been a pleasure talking to you. Is there anything you would like to add? I would like to thank ISS for taking me on and I am just happy to be with them because I know they do have great products. If people get the chance to really use them they will see the results. I think being with ISS will make a big impact on how I look in the years to come. I would like to also thank the major magazines, Flex and Muscular Development, for their support and getting my word out there. Also, I would like to thank Bodybuilding.com for doing this interview with me and getting my story out there also. I am a frequent user of Bodybuilding.com so I would be happy to see this story up there.